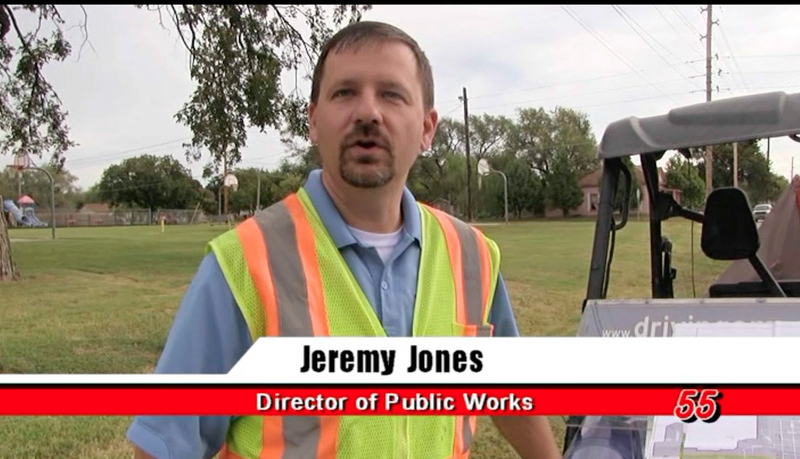 For those of you who don’t know me, I spent the earlier part of my career in Canada growing the pavement management, in-place pavement recycling and preservation business across the country. I also spent several years on the board of directors with www.arra.org as the CORE Chairman, the committee on recycling education. I am putting this Bonus Chapter in for several reasons, some of which I will keep to myself, some I would like to share with you. One, anyone in this day and age can set up a Google Alert on pretty much any topic they so desire. I choose to set up a handful on all things that we talk about in the book. So today, as I write the final chapters, I am sharing information with you from the internet that is current as of today’s date. You can see this just like me right here at http://www.bayshorebroadcasting.ca/news_item.php?NewsID=65323 and thanks for sharing this story with our audience Bay Shore Broadcasting in Canada! Two, for decades I have asked local agencies to embrace pavement management, in-place recycling and pavement preservation. It WORKS! There are counties and cities across the world DOING IT! It is not NEW! Let me repeat, it WORKS, there are folks just like you DOINT IT, and it WORKS! Three, this is a great example of a success story, but reputable contractors teaming up to share their knowledge with the world via the internet. This same type of Internet sharing of knowledge will eventually show enough Stringbender™ success stories to crumble down the walls that the Naysayers have put up. Trust me on that one! Four, we need more stories of success just like this one to CRUSH THE NAYSAYERS! Five, when I listen to the MP3 here http://www.bayshorebroadcasting.ca/downloads/audio/mike_alcock_award.mp3 it reminds of when I used to live in Canada LOL! Six, I immediately recognize all of the names in the story, having spent many long days working for these same folks at some point. Many that used to be local agency folks are now working on the private sector side of the fence! Hope you all are doing alright up there folks! Seven, I wanted to remind the readers and listeners here today that in addition to IPMA™ where local agencies join for free at http://ipma.co/ there are many other great trade associations out there. I have tried to stay on the high road throughout the book, and want to end on that positive note by asking you to consider taking part in other trade associations such as http://www.arra.org/ and http://slurry.org/ so you get a chance to hear things from a different perspective and formulate your own unique blend of wisdom back there at your office! Nine, the consulting side of the business at http://thebarnhardtgroup.com/ works anywhere in USA and Canada to serve our local agencies in any way we can with their pavement management. I didn’t want you folks up there to feel left out in the book. Our RV can travel wherever we need to be to save our crumbling roads. Also, we did a really cool session on CIR for the Driving America for Better Roads (and Canada) series from Niagara Falls (Canadian Side) a while back. You can watch it right here http://drivingamericaforbetterroads.com/home/driving-america-for-better-roads-episode-7/ please share and enjoy! So as you listen to the transcription of the award winning CIR job description, please think about the reasons above why I chose this article. Stringbenders™ UNITE! We can defeat the Naysayers! Huron County’s Public Works Department has copped an industry award for its asphalt recycling program. At Huron’s Committee of the Whole Day One session Wednesday (April 9th), Bentley Ehgoetz of Lavis Contracting and Trevor Moore of the Miller Group made the presentation to the County’s Dave Laurie and Mike Alcock. Alcock explains that the County’s Cold In-Place Asphalt Recycling Program, in operation since 1998, has won the 2014 Charles Valentine Award for Excellence. The annual accolade is a presentation of the Asphalt Recycling and Reclaiming Association (ARRA), and submissions are made from all over North America. The County’s Civil Engineering Technologist tells Bayshore Broadcasting News that fully half of Huron’s 730 kilometre road network is topped with the recycled asphalt mix. 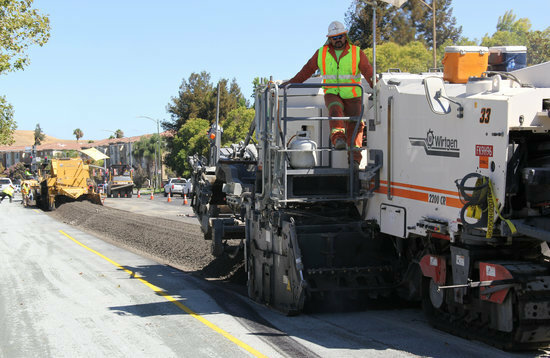 Alcock says the process saves money by re-using the asphalt with new emulsion. He says the blend is less prone to cracking. 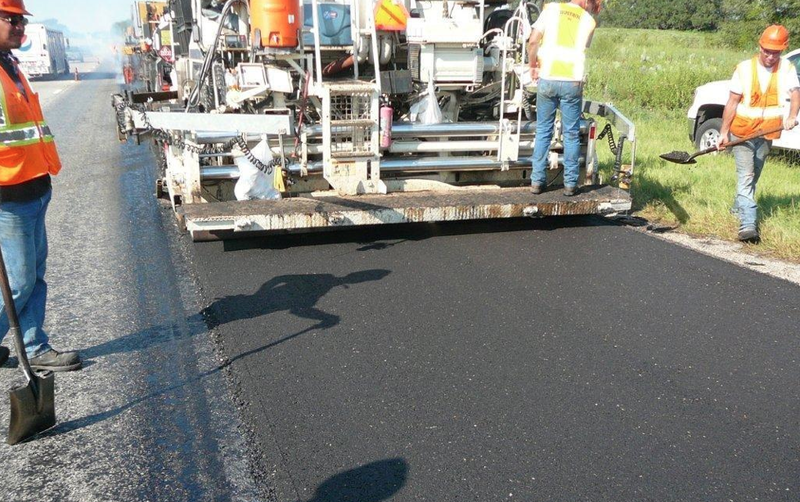 Trevor Moore, the Corporate Director of Technical Services with the Miller Group notes that Huron County was a pioneer in the use of milling machines to achieve a wider road swath during the paving process.